Saturday, May 14, 2011 4:33 PM Joe No comments. Share your thoughts! 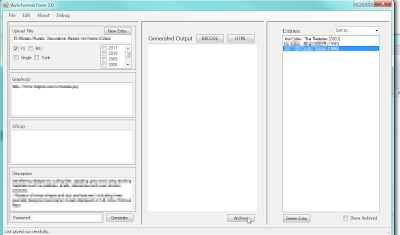 What started off as a small-time thread-generator has turned into an entire management system. This project originally started off with the idea of complete automation of the posting process with the potentiality of a random-download-upload script to fully automate the sharing process. On the left is the original project I started. It was simply an auto-BB code formatter to simplify the posting process with the ability to manage multiple entries via the tabbing system. 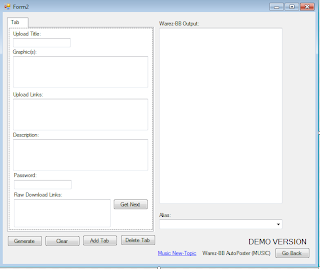 While it was simple and worked effectively, it didn't satisfy my desires to fully micro-manage an uploading scene. So I scrapped the project and started over from scratch with the AutoFormat 2.0 project. 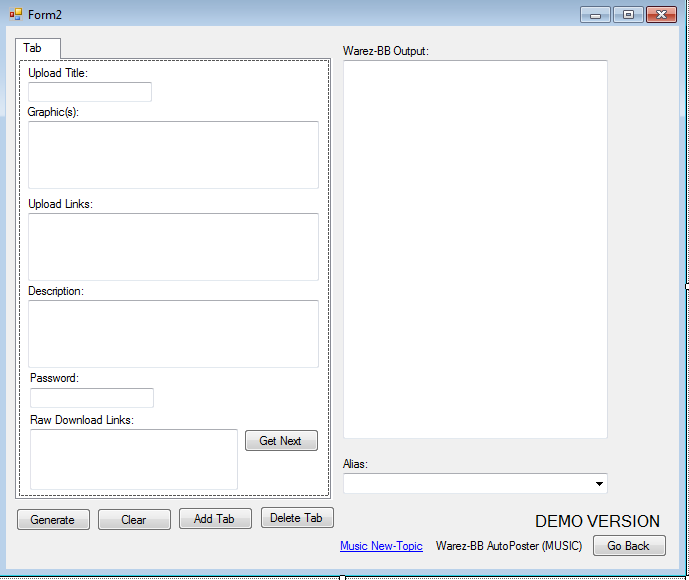 - Store entire information about a file upload including host, title, year, graphics, urls, description, and password. 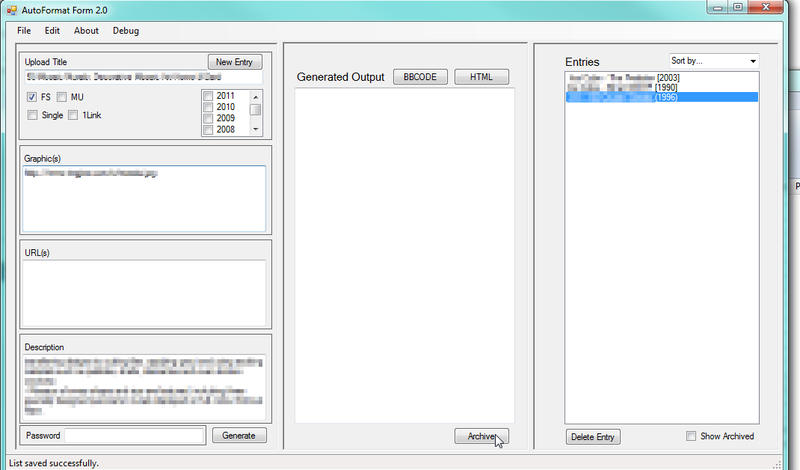 -Format to BB Code, HTML, potential to create whatever output mode desired (fully format the formatting system). - Archive entries after they have been used and no longer need to be immediately accessed. So... There has been some vast improvements, a lot of bugs to deal with that Ive been hammering out. Pretty soon I'll be starting a new project, the next post will highlight that.